La Cigale – first time participant! Bishop’s – first time participant! After going through the menus, honestly some of them just weren’t worth considering. It didn’t seem like the restaurants have put any thought into it – it’s generic, it’s simple, it’s nothing like their regular menu. Now keep in mind I curated the list above based on my preference, my way of thinking, so it may not all suit your taste. But hopefully this gives you a place to start. 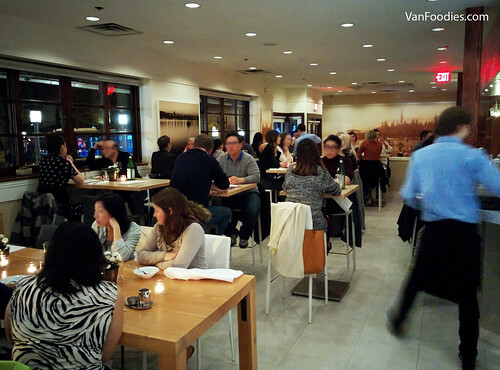 For more Dine Out Vancouver reviews, don’t forget to check out our special coverage. Or just check out our regular restaurant reviews for more ideas. Of course don’t forget that there’s also the Street Food City as well as other events such as The Grape Debate, Brunch Crawls, Art, Eat and Sip and Nightingale’s Chef’s Table Experience. Hope you’ll have a great time enjoying the Dine Out Vancouver 2017 festivities! Thanks for helping narrow it down! It’s so hard to pick which restaurants to try during Dine Out. You are welcome, Danielle! Hopefully this will help get you started. It’s not easy when there’s over 280 restaurants on the list. Let me know where you end up at and what you think about them! Never thought I’d see a restaurant drop down to a lower price tier!